Oh I just love easy! The easier the better some days, don't you agree? This breakfast casserole can be thrown together in a matter of minutes, baked, cooled, covered and stored in the refrigerator until the next morning - then just a quick warm up in the oven and you're done. Or mix, cover and bake in the morning. Either way, it's super-quick and very easy! Cook sausage, drain and spread on bottom of baking dish (8x12) sprayed with cooking spray (I use Pam). Top with potatoes, sprinkled with season salt and pepper. Whisk eggs with hot sauce and pour over sausage, potatoe mixture. 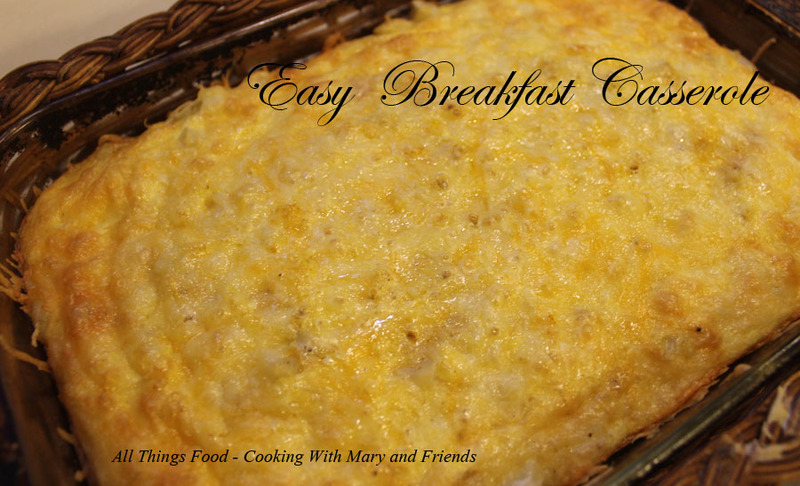 Top with shredded Mexican cheese and bake in a 350 oven 35-45 minutes or until eggs are set and cheese is golden brown.